Welcome to Plumber Cabinteely our team of Cabinteely plumbers are here and ready to assist you. You can call our team 24/7- 365 days a year for all your plumbing emergencies and plumbing services. In an emergency situation we know that we will have one of our team ready to dispatch. Our promise is that we guarantee to be with you in under an hour day or night. We are always ready to take your call in our friendly and professional manner. We will firstly try to offer practical advice to help with any issue. If required we will happily send an experienced and skilled plumber to your home or business. For all standard plumbing services we will always arrange a time that suits you. About our skilled team at Plumber Cabinteely. Every member of our team have had their qualifications checked rigorously. We always make sure that they have the relevant tools, skills and experience to attend to all of our customers. 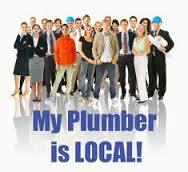 All of our plumbers in Cabinteely are R.G.I. registered gas installers and have completed industry recognized courses. They are also trained in all current health and safety legislation. All of our work comes fully guaranteed. For extra assurance we remind our customers that we are fully covered by both public and professional liability insurance. At Plumber Cabinteely we provide the following services. If you don’t see the service you require do not worry. We will be able to do the job. · Gas boiler servicing by an R.G.I. accredited plumbers. · Power flushing central heating systems and radiators. · We install and repair baths, sinks, taps, toilets, bidets, wet rooms and showers. · Water pump and water tank repairs and installations..
· Unblocking drains, sinks and toilets. We have a full range of equipment including drain rods, jet flushing units and plumbers snakes. · Boiler repair and boiler replacement. Plumbers Cabinteely do not charge for call outs. We happily offer free no obligation quotes. We don’t have hidden fees or charges. This means we do not charge traveling time, parking fees or other miscellaneous charges. Our vans are always fully stocked so as there is never a need to be “sourcing parts”. If you require any work completed or would like a free quote call your local team today on 01-2844921.